1 in x 2 ft x 2 ft Armstrong Ultima High NRC 9/16 in Beveled Tegular Panel - 1942 at Cowtown Materials, Inc. 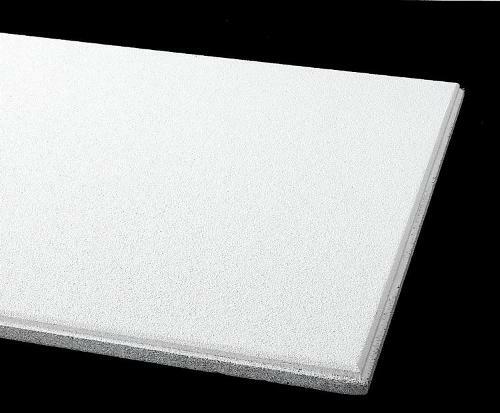 Smooth textured Ultima provides Total Acoustics performance for excellent sound absorption NRC (0.75) + sound blocking CAC (35) all in one panel; high light reflectance and durability including impact, scratch, and soil resistance. Ultima panels offer HumiGuard+ no sag performance, are resistant to surface growth of mold and mildew, and can be recycled at the end of their usable life. They are compatible with standard suspension systems and Axiom perimeter trim items.